What’s to Love: With books like Hit and Day Men in our library, you can tell we absolutely love noir stories, and the more unconventional, the better! 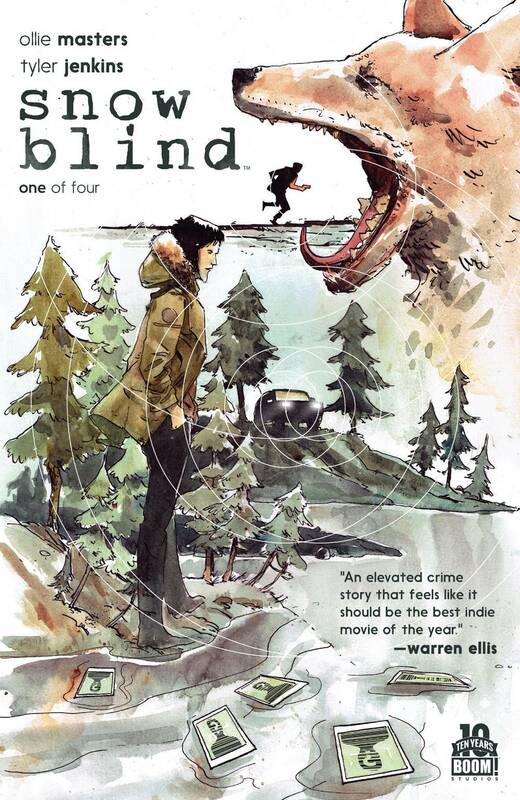 Critically acclaimed writer Ollie Masters (The Kitchen) and artist Tyler Jenkins (Peter Panzerfaust) have crafted a tense noir story in the tradition of Criminal, Scalped, and 100 Bullets, set in the bleak, snow-covered landscape of Alaska, a perfect setting to highlight the cold nature of crime. What It Is: What happens when you discover your dad isn’t the man you thought he was? For high school teen Teddy, life in a sleepy suburb in Alaska turns upside-down when he innocently posts a photo of his dad on Facebook, only to learn he and his family are in the Witness Protection Program. A man seeking revenge invades their town, and soon FBI agents arrive, too. But what if his dad’s reasons for going into the program aren’t as innocent as he says? Tyler Jenkins was the main pull for this series for me, and he truly delivered in this great first issue. Teddy is a good point-of-view character as we peel away the past his parents are hiding. I’m definitely interested in reading more! Utopia is here. Hunger, sickness, work…all relics of a long forgotten past. For the greater good of the human species, all individuality, creativity, and negative emotions have been genetically bred out and medically suppressed. The population is limited to segregated areas where people lead long lives of leisure, games, and socializing. Only one man and one woman seem to notice, care, or think differently. Once they find each other, their relationship sparks a revolution… but will their love cause the salvation or destruction of mankind? At first, I was hesitant. With the exception of Star Wars, I don’t really care for opening introductions into the story. I prefer for the story to unfold on its own. 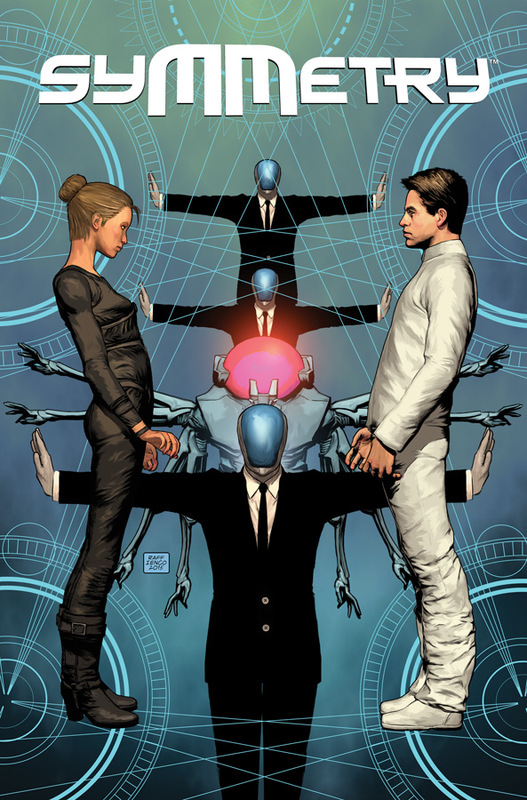 Symmetry hits you up front with an info dump, but you are better off skipping it and moving right into the story. Once I became immersed in the plot, I was absolutely hooked. Ah! Another great new comic this month! I love reading stories that are based in reality, absent of fantasy, science fiction, and superheroes. 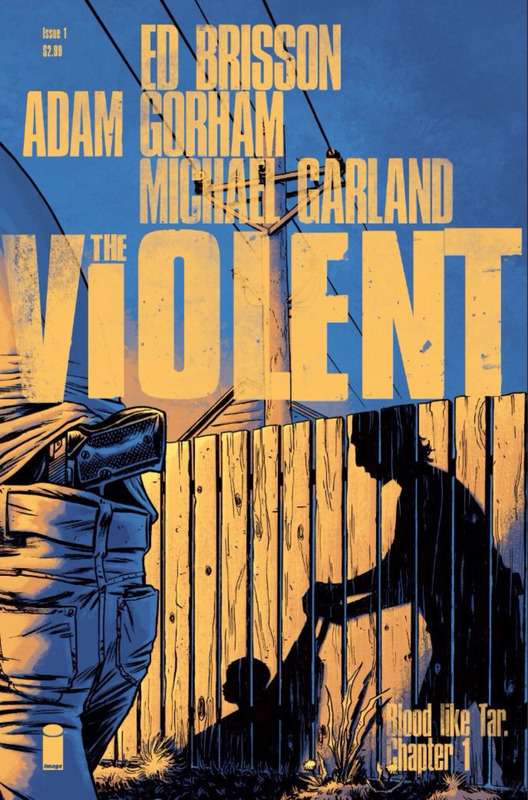 The Violent is incredibly compelling, and a project close to the hearts of the creators. This is going to be an excellent series to follow. 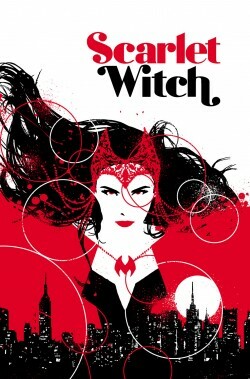 Witchcraft is broken – and the SCARLET WITCH is on a journey across the globe to fix it. From the back alleys of Manhattan, to the serene Greek Isles, to the bustling streets of Hong Kong, Wanda will have to face down her foes and find out who her true friends are. But as Wanda solves magical crimes and pieces witchcraft back together, the most important question remains: Who is the mastermind that broke it in the first place? Written by Eisner Award winner JAMES ROBINSON, with covers by Eisner Award winner DAVID AJA with the first issue drawn by fan-favorite VANESA DEL REY! I wasn’t interested in reading Doctor Strange. I wasn’t interested in reading Hercules. I’m on the fence about Scarlet Witch. 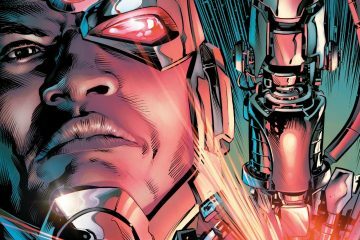 I am hoping that this new Marvel series surprises me just as much as the previous two I listed. We’ll see how it turns out. At worst, I’ll get to read some Del Rey art!